Having lived in Las Vegas for almost two years now, I figured it was about time to make my journey to Dreamland. A friend and I left about 11am, stopping by the Janet Terminal at McCarren before hopping on I15. Such a long drive! As our enthusiasm began to drain, we were renewed with the arrival of Highway 375 (a.k.a. 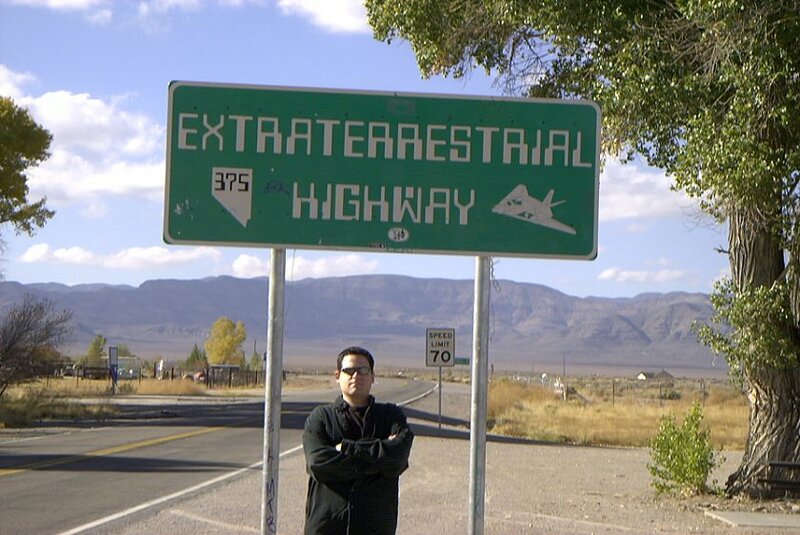 The Extraterrestrial Highway). After a brief photo op (Photo 1), we were back on the road. 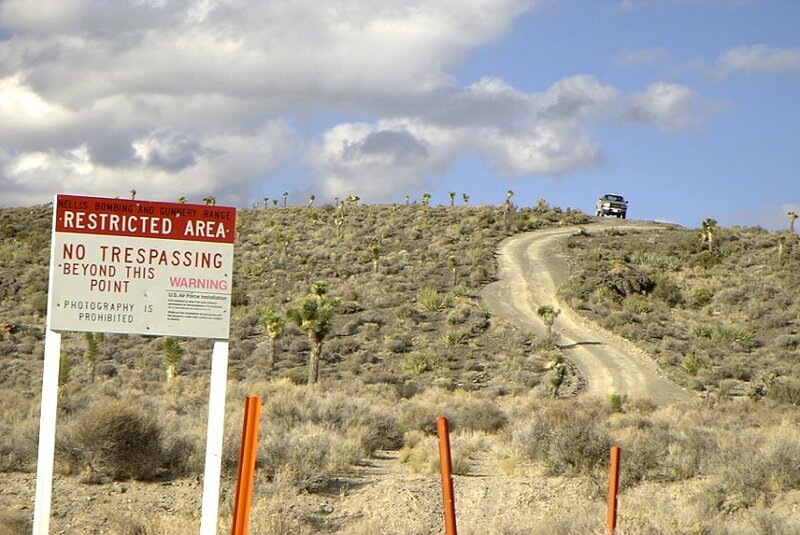 Once we found the Black Mailbox (which we all know is white), we made the turn onto Groom Lake Rd. After a few miles, we both noticed that things just seemed, well, eerie. Maybe it was the fact that we were driving down a road that doesn't exist to a base that doesn't exist, in the middle of nowhere. A few times, we got paranoid thinking that we somehow might have passed the orange posts and were where we should not be. Of course, this was not the case. Finally, we saw the famous signs up ahead, so we pulled over to the side and walked the rest of the way. Well, not to disappoint, our cammo friend was already there waiting, as in every picture of this area I've ever seen. After spending some time taking pics and just soaking it all in, we gave the cammos a friendly wave and headed back to the car. Our next destination was the Back Gate. 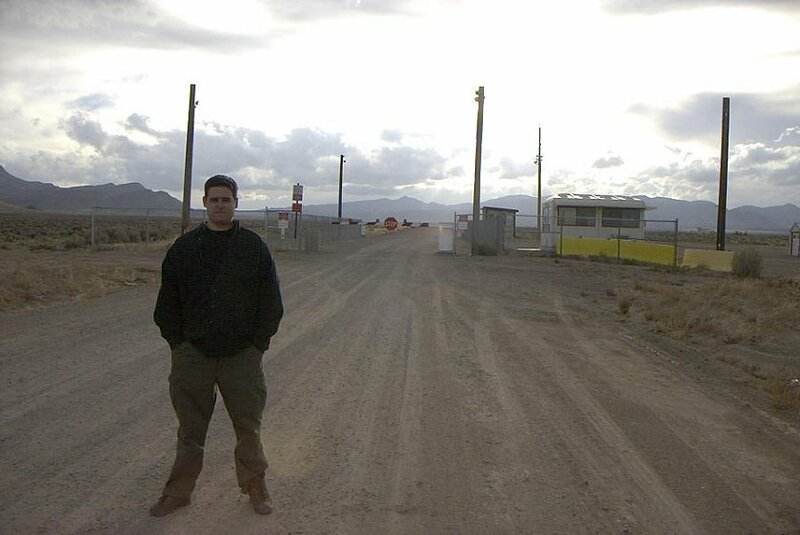 We parked about 150-200 yards from the gate and guard shack and walked the rest of the way. Once we started to get closer, the lights on the gates were switched on and a F150 pickup arrived on the other side of the gate. That cammo dude got out, gave us a look, then joined his friend in the shack. When we felt we were close enough, we snapped some photos and were on our way to the Little AleInn. We got our Alien Burgers (Out of this world! ), chatted a bit with the staff, and browsed the souveniers and pictures decortating the walls. It was starting to get dark, so we made our way back to the mailbox to watch the skies. Once there, we just couldn't get over how clear the sky was, and how SILENT it is! Quite different for a couple of city boys! After 45 minutes or so, we started to make our way back to Vegas. On the way home, we DID see something from Highway 375 off in the distance. However, I don't think I'm quite ready to speculate on this at this time, and I wasn't even sure I would mention it here, but there you go.